Hersonissos is a village in the Heraklion Prefecture of Crete, with a total population of 882, based on the 2001 census. Located on the foot of Harakas hill, it is 25.8 km away from Heraklion and the inhabitants are mainly occupied in the tourism sector. It is a family-friendly destination, perfect for relaxation, but it also combines nightlife and tourist venues, all in one. 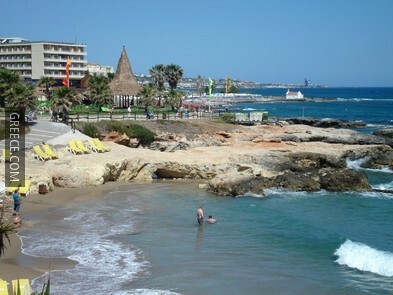 Sandy beaches await for children and sunbathers, while many child activities are available as well. 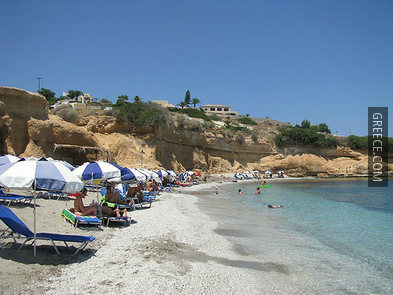 Hersonissos is well known for being very safe night & day, and it is considered one of the safest places in Crete. In Minoan Crete, Hersonissos was located on the same site as the contemporary settlement. Excavations have revealed a number of ceramics and habitation markings, both in Hersonissos at the nearby Kastri hill, and in the surrounding area of Anissaras and Stalida. 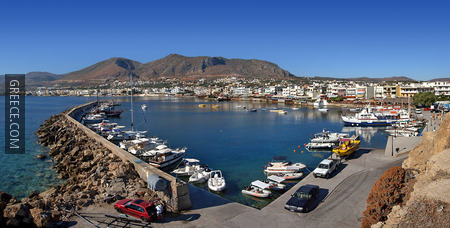 After the fall of Minoan civilization, Hersonissos remained a busy settlement, that eventually turned into the port of the powerful city Lyttos, during the Hellenistic era. Although Lyttos had the administrative power, Hersonissos kept some autonomy, minting its own coins. It is believed that during that period, the construction of a wall and an acropolis began, along with a sanctuary dedicated to goddess Artemis Vritomartis. A Hellenistic cemetery with 30 tombs has also been found, the tombs rich in artifacts, such as vases, silver and gold coins and jewelry. It is most probable that the cemetery is much larger in size, but most of it is buried under the foundations of modern houses. During the Roman and the early Byzantine era, Hersonissos prospered, expanded and gained its own theatre, aqueduct and public baths. The aqueduct is considered to have been about 14 kilometers long, while the main cistern has been found, 58 meters long, 22 meters wide and 5.5 meters deep. The Roman theatre was unfortunately destroyed in 1897, when the inhabitants of the area were given a special permit to take materials from the theatre to build their houses. 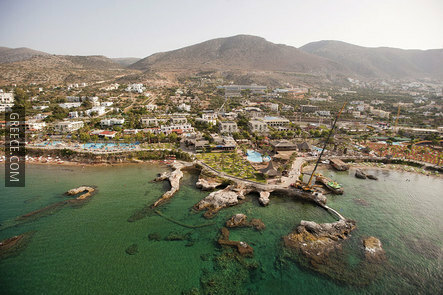 After 1900, the fear of pirates made the inhabitants move inland and found the village of Ano (Upper) Hersonissos. The village was in the shadows during the following years, up until the 1960s, when tourism started rising and modern hotels were built. Hersonissos: The village is fully equipped with everything you may need: banks, ATMs, post office, drug stores, doctors, supermarkets, souvenir shops, boutiques, etc. Most shops are on the main road of Hersonissos. Accommodation choices are many here: from luxurious all-inclusive hotels and resorts, to small family-run hostels and B&Bs. Make sure to book your room in advance, as it is a high-tourism area, especially during July, August and September. There are many restaurants in the area, and the choice of cuisines is quite large. From traditional Greek food and souvlaki, to Chinese and Italian, even Indian, Lebanese, you will have no problem satisfying your hunger! Cafes and bars are numerous, and partying lasts all the way to the small hours of the night. Happy hours are usually 6 - 9 pm, but it is likely that other offers are also available. 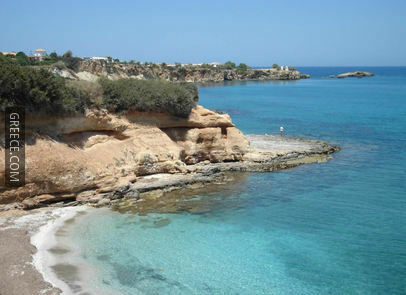 Hersonissos is full of great beaches, organised and offering many activities, unlike the secluded ones in southern Crete. The beaches of Sarantaris, Limanakia, Silva Maris, and Star Beach are just a few of the choices you have. 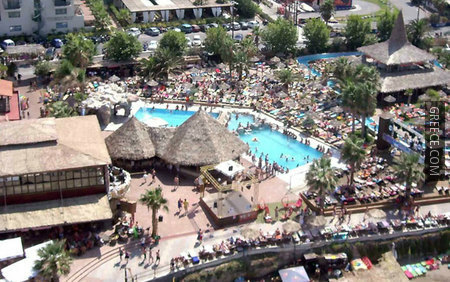 All of them offer sunbeds and umbrellas, and many cafeterias are nearby. 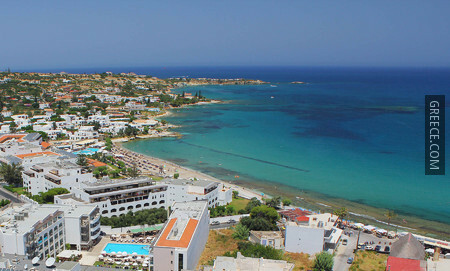 Hersonissos means fun, tourism, lively beaches, dozens of shops, bars, restaurants and clubs. It also means congress tourism, large tourist resorts, a large golf course (the only golf course in Crete), as well as all inclusive vacation for thousands of tourists every year. If you travel with children, make sure to stop at the two waterparks of the area. From Heraklion airport: you may rent a car at the airport, or take a taxi or the local bus. The airport is about 20 kilometers away from Hersonissos. From Heraklion port: Other than renting a car, you may take a taxi. You may also go to the bus station, which is about 500 meters away from the port. 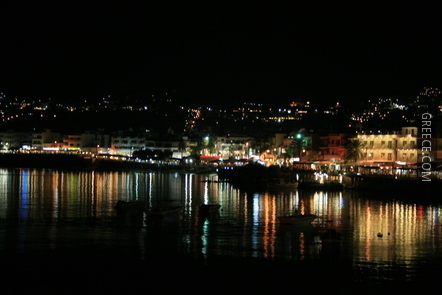 Buses leave every half hour for Hersonissos; the service starts early in the morning and stops late at night. From Hania, Rethymno, Agios Nikolaos: Via the national road, you may reach Hersonissos in 2 hours from Rethymno, or 2.5 hours from Hania. 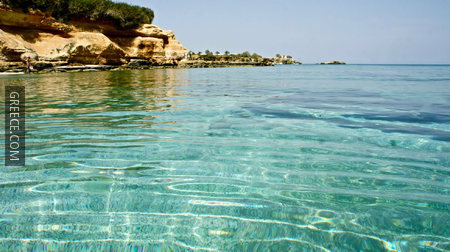 Agios Nikolaos is only a 30-minute drive away.